Collecting art can be a very expensive habit. In a perfect world, we'd all have the kind of disposable income that will allow us to visit different galleries and shop for artworks to our heart's content. However, we have to be practical and we can't blow all our savings on still-life pieces. Remember, just because we can't buy a Picasso, doesn't mean our walls have to look drab. We can all rely on the next best thing: online stores. Whether you like graphic or contemporary photography, we've got a source that will get you browsing. 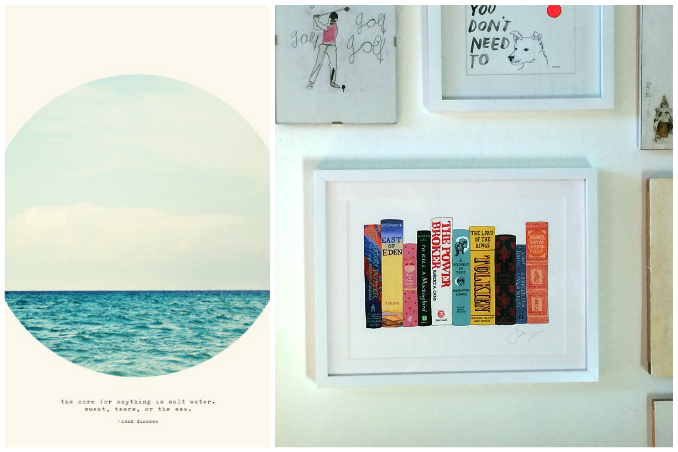 Main photos from: Ideal Bookshelf and Society 6.